Walk, talk, and dress like an Egyptian. When Louise Lambert tries on a lavender Grecian gown during a visit to the mysterious Traveling Fashionista Vintage Sale, she feels a familiar tug and falls back in time, arriving at the dusty base of an enormous pyramid. She has landed in ancient Egypt...or has she? The Time- Traveling Fashionista series is one of my favorite historical fiction reads for middle grade readers. First of all, if you haven’t read books one and two they need to be added to your list of TBRs. They take vintage fashion, time travel and suspense and roll it into an easily readable adventure perfect for tweens. We’ve already been aboard the Titanic, to France during the time of Marie Antionette, and in book three we are whisked to a film set with Elizabeth Taylor and then to Egypt under Cleopatra’s reign. Louise Lambert is the time-traveling tween who is making a couple of tough adjustments with her father, an attorney being out of work, and her best friend who has recently discovered a boy named Kip, who seems to be drifting from their friendship. She’s a bit lacking in self- confidence but nevertheless has attracted the attention of two boys in her class. But Louise is not quite ready to take the plunge into being boy crazy…she would rather take the plunge back in time by visiting the traveling trunk sale and putting on a dress with a history. My favorite part of book three were the interesting tidbits it introduces from Cleopatra’s time. The library of papyrus in Alexandria, the black wigs and shaved heads, the poisonous asp used by Cleopatra in later life, and her intellect and ability to speak nine languages. I had no idea Cleopatra was in fact Greek, or that she married her ten year old brother Ptolemy! The snippets of google info. the author injects near the end of the book after Louise returns to her time add even more to the historical value and I wish there were more. This book had SO much to offer but I found myself wanting richer conversation, more about Elizabeth Taylor and just what us up with Stella nd Pierre. They are introduced again in book three and then completely disappear until the very ending pages. This is literally a fast whirlwind of a book, easy to read and get through in one sitting. In a way it’s refreshing and light,–but man, there is so much that I want to know that just didn’t get answered. I wanted to get to know the side characters, her best friend, her mom, the cute skater boy, and Peter. It felt like there just wasn’t any more development on that end. I do like that Louise is maturing and changing after each adventure. In this step back she learns that it’s not okay to steal and there are often dire consequences. She also gains confidence and learns to defend herself against fashion Bully Billy. You go girl! The illustrations are missing fro the Netgalley version which I was sad about– they are my favorite piece of the series. You need to see the art to appreciate the stories! Can’t wait to see each book in print form. Do I recommend this series? Yes! They are a great introduction both fashion design and history. But book three felt too rushed and had a few content issues that I don’t remember in the previous installments. Thanks so much to Poppy for the sneak peek and for inviting us to be a part of The Time-Traveling Fashionista blog tour! Be sure to read the excerpt below. (highlight to reveal): OMG full phrase frequently, one reference and taking the Lord’s name in vain, childhood marriage, moderate violence, death by poisoning. Hi, I’m Louise Lambert and I’m a Traveling Fashionista. If people actually told the truth about themselves, it could be a really scary game. My name is Louise and I’m on the swim team and I like vintage fashion, she rehearsed in her head. That was easier; that made sense. Even if at Fairview Junior High, vintage clothing was still considered a little weird, particularly to Billy, whose fashion sense didn’t extend beyond the same baggy jeans and dirt brown or navy pullover sweater he wore practically every day. “Why don’t we start in the back of the class,” Miss Jones said, putting back on her oversize glasses, which made her look like a giant bug. “I’m Billy Robertson. I love history and I was Miss Morris’s favorite student.” Everyone giggled. Judging by the amount of time he spent in the principal’s office, Billy wasn’t any teacher’s favorite student. 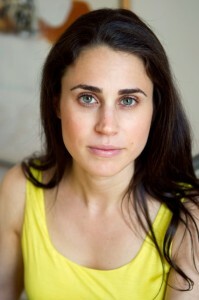 Bianca Turetsky is the author of the stylish Time-Traveling Fashionista series, which has been translated into nine languages. After graduating from Tufts University, Bianca began working for artist/filmmaker Julian Schnabel. She managed his studio for the past 11 years and was his assistant on the Academy Award-nominated film The Diving Bell and the Butterfly. She lives in a cozy studio apartment in Brooklyn, New York, that houses her very extensive and much-loved vintage collection. 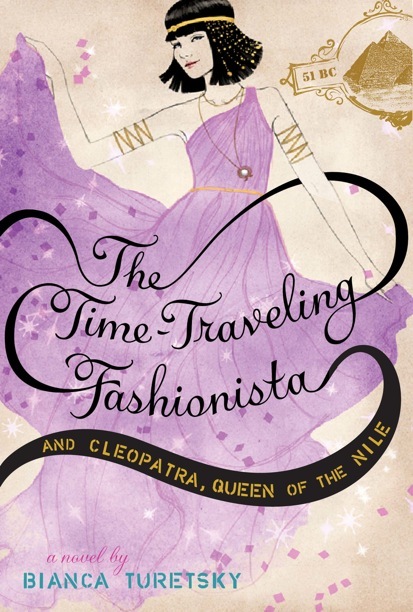 The third book in the series, The Time-Traveling Fashionista and Cleopatra, Queen of the Nile will be released December 3, 2013. She is represented by Meredith Kaffel at DeFiore and Company and Howie Sanders and Dana Borowitz at UTA.